What Does a Bad Knowledge-Sharing Culture Look Like? Over the past ten years, we’ve had the opportunity to visit and work with fifty or sixty companies implementing knowledge management, self-service, and social support. In the process, I’ve come to feel like a bit of a connoisseur of corporate culture—I expect other consultants know exactly what I mean. Shortly after arriving in an office, I get a sense of whether the culture will be helping us through the hard work of leading change…or whether it will fight us every step of the way. In subsequent blog posts, I’m going to say what I think an effective culture feels like, and how to go about creating one. But I’m going to start with the “fun” one: how to tell you have a challenging culture. In tribute to Spinal Tap, all three lists go to eleven. Disbelief in what leaders say. You can see this most after an all-hands meeting breaks up, as groups get together to try to figure out what management really meant—trying to decode the secret message by parsing what was and wasn’t said. In some organizations, taking executives’ words at face value just isn’t even considered. This distrust is never more damaging than when change is coming. For example, if employees are looking for the hidden motivation behind doing KCS (“are they about to lay off all the expensive engineers?”), they won’t embrace it. Happy talk that’s not based in reality. These untrusted leaders are often the same ones who deliver overly optimistic reports about how things are going, an optimism that reinforces the view from the trenches that the leader is either lying or deluded…and neither is good news. Of course, it’s the leader’s job to help everyone see the good, and the possibilities in even the most challenging circumstances. But that’s not the same as denial. Obsession with the urgent and tactical, leading to an inability to focus on the important and strategic. Since we like to schedule design workshops and training, we see this most when everyone is simply too busy doing things using the current process (which isn’t working), that they don’t have a few days to devote to figuring out a process that does work. Also, if things are continually rescheduled because of the crisis du jour, watch out: crises should be short-term anomalies, not a way of life. Fear about new metrics. Measures should be to “guide, not grade,” in Phil Verghis’s memorable words. But if people are used to being hit over the head with measures—if measures are customarily used for rewards and punishment—then don’t expect them to embrace them. As a matter of fact, the first thing workers will do is figure out how to game the measures, making them worse than useless. Job insecurity. If people are worried about whether they’ll be employed, they’re not going to be eager to embrace change—especially if they distrust the motivations behind it. You might say this is unfair: companies going through a rough patch may have to lay people off, and why should they have a harder time improving processes than successful companies, when they’re the ones who need to improve the most? And you’d be right. But it’s still true. The ability to opt-out, especially for the most talented. It’s great to have a culture that encourages and respects superstars. But, in some organizations, we’ve seen this taken to extremes, where the highest performers are somehow a law to themselves. They don’t need to follow processes. They don’t have to do the parts of the job they don’t like—often including documenting knowledge. Sorry, artiste, we love your work, but even you can’t simply opt-out of our change initiatives! Distrust among groups. If Professional Services blames Development, Sales blames Marketing, Support blames Operations, and everybody blames the CFO, then no one will be pitching in to create a shared resource like a knowledge base. I remember a support executive telling me once, “why should we build a knowledge base just so the web team can take credit for it?” Ouch. Speaking of distrust, if you can’t leave your laptop unattended inside your secured workplace for fear of it being stolen, consider looking for work elsewhere. Unvoiced Disagreement. “Fear of conflict” is one of Patrick Lencioni’s Five Dysfunctions of a Team, and it’s endemic at some of the least healthy companies we’ve worked with. It seems counterintuitive—don’t we want a work environment where everybody is nice? But the reality is that there are disagreements and conflicts to sort though. Sometimes they’re based on misperceptions, and sometimes they’re absolutely real. Either way, nothing will get resolved unless people are willing to discuss them (ideally, in a positive and de-personalized way.) I once found out that a participant in one of my workshops got in trouble with her boss because she was airing objections to KCS. I told her that she was my hero in that workshop—since everyone was thinking these objections, and no one was saying them, without her leadership, we couldn’t have had the conversations we needed to have. It’s a shame her boss didn’t get it. A lousy work environment, food service, and coffee. 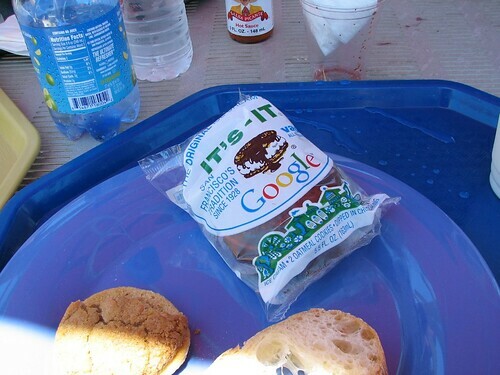 Look, we’re not all going to work in the Googleplex with free gourmet lunches and company-branded ice cream treats. But we spend a lot of time at work, and our mental state there matters, and our heads are influenced by our environment. (There’s a reason they spent so much time building cathedrals in the Middle Ages.) If I go to an office building that’s dingy, dreary, sterile, and cut off from natural sunlight, I know something. If the coffee service comes out of 1950s-style glass carafes and hotplates with generic pre-ground beans in foil packets, I know something. If people resign themselves to the depressing burger-and-fries or meatloaf options at the cafeteria, I know something. And if the company hasn’t spent the money for decent computers, double monitors, comfortable ergonomic chairs, and IT that works, I really know something. I know the company doesn’t really care about the employees, no matter what they say, and it’s going to be wickedly hard to get the team excited about taking on a new challenge. Well, enough of the negative! Stay tuned for next time, when we’ll take a look at what a really healthy corporate culture for knowledge sharing feels like. In the meantime, do you think any of these are unfair? And, please share—what makes you concerned about a corporate culture? In my opinion, the first and maybe biggest lie corporations ever tell their employees: “You’re not just a number.” In some corporations (I would say ‘very few’, but I don’t have any statistics to back that up! ), that may be true; but the truth is, any company that tells its employees that is saying it to alleviate concerns that are very real, and simply saying it will not make those concerns disappear. In fact, it almost always makes them worse.